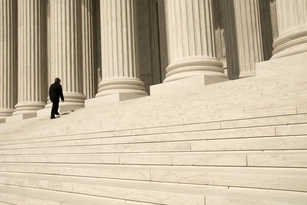 Nick Falcone specializes in representing employers in employment matters, in addition to his general civil law practice, particularly in business litigation and transactional work, and special education. Prior to joining the firm, Mr. Falcone was associated with the national law firms Fox Rothschild and the labor and employment boutique Grotta, Glassman and Hoffman, where his practice focused on labor and employment litigation, representing employers in state and federal courts in all aspects of civil litigation, administrative hearings and appellate practice. Mr. Falcone regularly provides counseling to local and Fortune 500 companies on such matters as termination, FMLA, wage and hour compliance, employment discrimination, sexual harassment and reasonable accommodations for disabled/handicapped employees. A graduate of Rutgers University, where he received a B.A. in Theater Arts, Mr. Falcone received his law degree from Seton Hall University School of Law, where he was a member of the Appellate Advocacy Moot Court Board, was recognized as an Appellate Advocacy Best Oralist and was the recipient of the Mary Franzese Humanitarian Achievement Award. After receiving his J.D. from Seton Hall University School of Law, Mr. Falcone was law clerk to the Honorable Martin L. Greenberg, Superior Court, Chancery Division: General Equity and Probate, and to Honorable Seymour Margulies and Honorable Fred J. Theemling, Jr., Superior Court, Civil Division, Hudson County, New Jersey. While in law school, Mr. Falcone worked as a law clerk at the firm of former U.S. District Court Judge Herbert J. Stern. Mr. Falcone is admitted to practice in New Jersey and New York, as well as the United State District Court for the District of New Jersey, the United States District Court of the Southern District of New York and the United States District Court for Eastern District of New York. 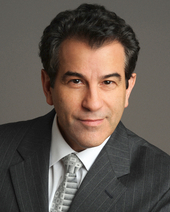 He is a contributing author to Goldstein and Goodman, New Jersey Practice, Vol. 18 Employment Law (Thomas/West, Second Ed. 2005), the leading treatise on employment law in New Jersey. Mr. Falcone has had life long association with the arts. Prior to becoming an attorney, Mr. Falcone worked in the Broadway theater, film and opera communities. Mr. Falcone is the Chairman of the Board of Directors of the Garden State Film Festival. Mr. Falcone is a native of the Jersey shore, where he still resides with his wife and two children.